Think about each of the items below. 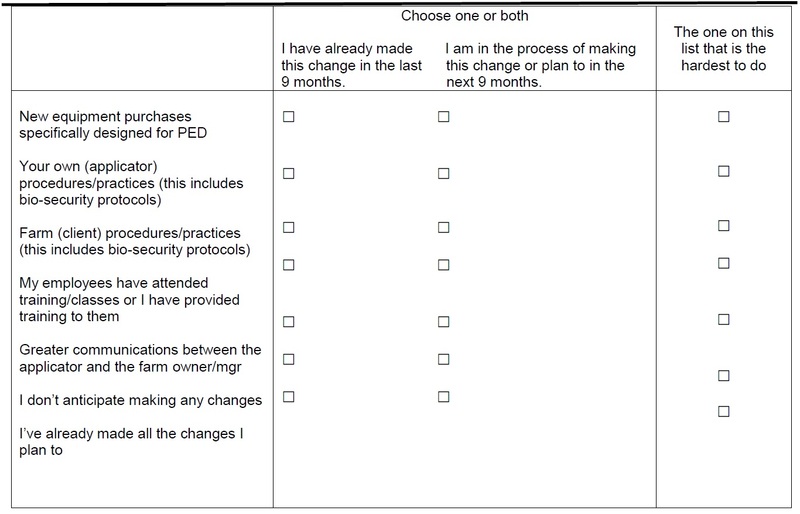 If you have already made the change or plan to make a change in the next 9 months in response to the PED virus, check all the boxes that apply in the first 2 columns (with the heading ‘Choose one or both). Then, in the LAST column, chose the one item that you think is the hardest to accomplish.